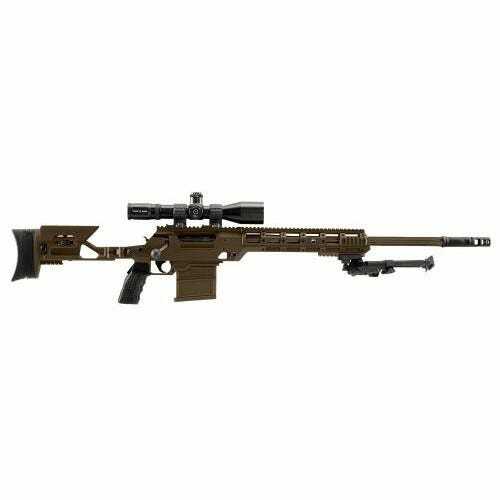 Bolt action rifles for sale with cheap shipping and the lowest price! Howa Gameking Package 4RND 22"
Howa Standard Ladies Package 22-250 22"
Whether for long-range precision shooting competition, recreational target shooting, hunting or law enforcement, the accuracy, simplicity and reliability of a bolt action rifle can’t be beat. Regardless of what you call it or how you use it - bolt rifle, deer rifle, hunting rifle, or target rifle – GrabAGun has the most popular bolt action rifles at the lowest prices. Most best sellers are traditional hunting rifles with polymer stocks. Others are long-range, precision rifles. Popular calibers among best sellers were .308/7.62mm, 6.5mm Creedmoor, 30.06, 300 Blackout, and .243.